Tirthankara (Prakrit: Tirtha = ford), also called Jina (victor, winner or conqueror), literally meaning 'ford-maker', who (re-)establishes the religion and the Sangh (the four fold order/community of ascetics and lay followers). The day when a tirthankara was born, got diksha, atteined omniscience and got liberation from the cycle of rebirth, is given in lunar days, so called tithis. The last Tirtankara known as Mahavira (~ 599 BC), a contemporary of Buddha, and Parshvanatha (~850 BC) found acceptance as historic persons. The appearance of the other 22 predecessors reach for eons. 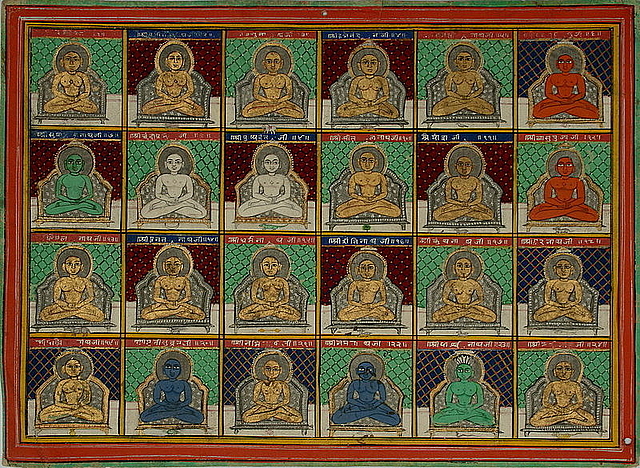 In Jainism a Tirthankara (he or she) is a liberated soul who has attained omniscience and guides the souls to the opposite shores of the ocean of the world to save them from the cycles of repeated earth existences (rebirth). 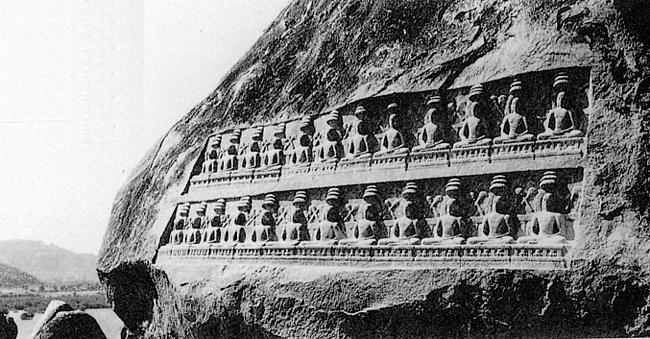 Tirthankara also are called Jina (vanquisher, victor, conqueror), their followers Jains. To them, a Tirthankara is greater than the gods because he transcends the laws of Space and Time.